Crayford in Industry Newspaper Article, 1912. 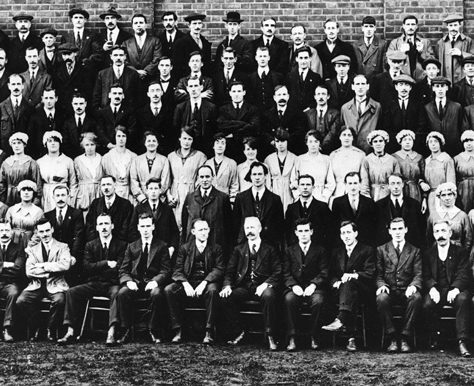 Staff of Vickers Crayford Munitions Work, 1918. 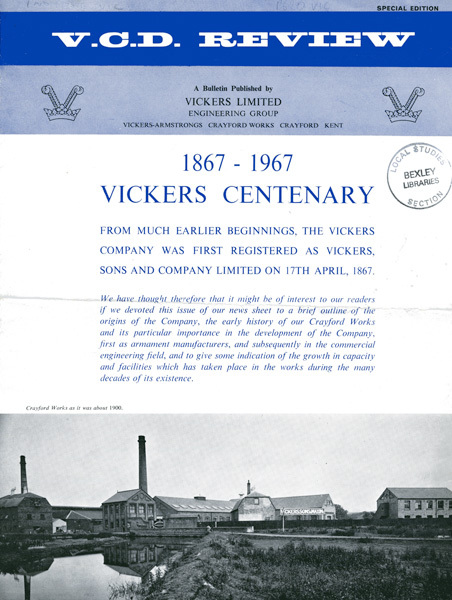 The firm of Vickers originated in Sheffield in the 18th. 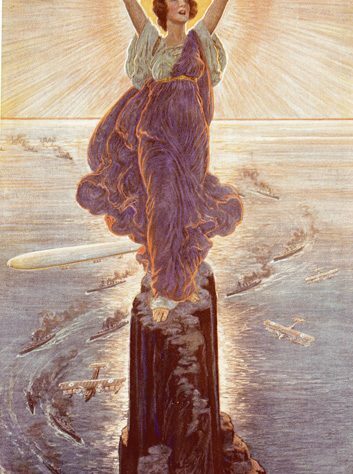 Century and until 1888 they were concerned with steel production and allied trades. 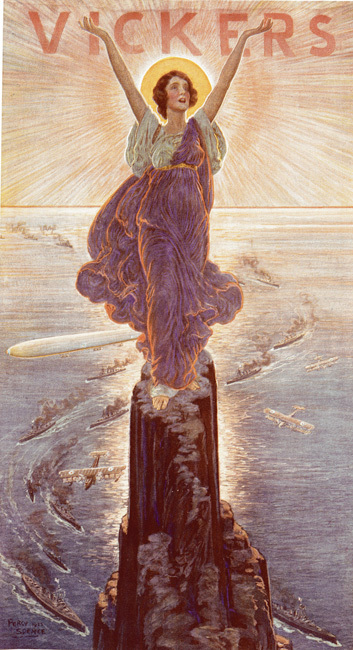 In 1888 the firm became involved in the manufacture of armaments, an activity that soon became the main one of the company. Before this diversification into the arms trade Vickers had come into contact with the famous inventor and Bexley resident, Hiram Maxim, and in 1884 the Maxim Gun Company was founded with shares owned by Vickers. 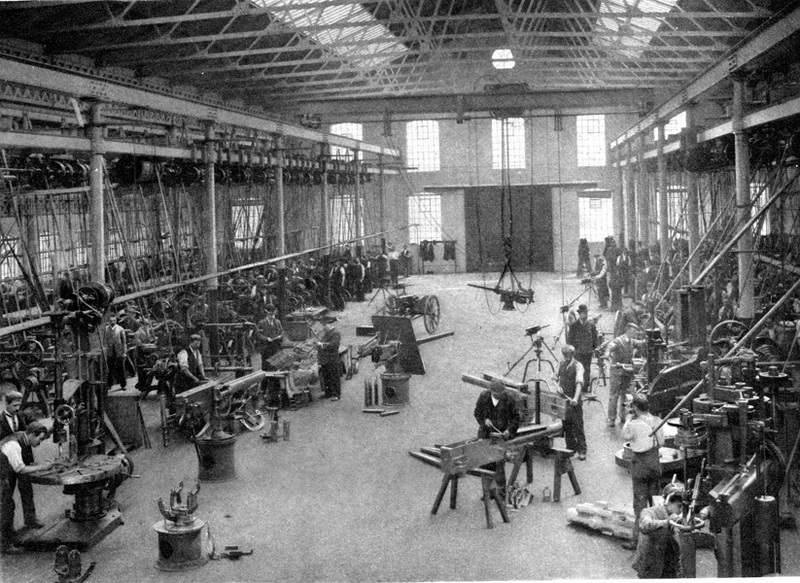 Maxim’s self loading and firing machine gun and the larger calibre pom-pom were made at the Crayford works. 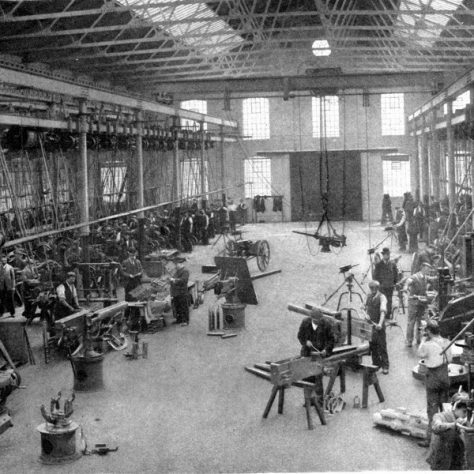 In 1887 the Erith firm of Nordenfeldt and Maxims were combined to form the Maxim Nordenfeldt Gun and Ammunition Company, an amalgamation that was to last ten years before Vickers, deciding on a greater commitment to arms, bought the Naval Construction and Armaments Co. Ltd at Barrow and Maxim Nordenfeldt. Until 1903 Vickers in Crayford prospered with the manufacture of the Maxim gun for the South African War. The end of the Boar War brought a decline in trade, but by 1907 the Crayford Works were making Wolseley type cars under the name Siddeley Autocars. Car production ceased in 1910, when the manufacture of cars was moved to Birmingham. The years between 1910 and 1912 were bad ones for Crayford, but with the re-opening of the works in 1912 and the increase in demand for weapons brought about by the First World War Crayford was transformed in a way that made Vickers the most important firm ever to operate in the area. The orders of 1914 caused a huge jump in the population making Crayford an important industrial town. The Barnes Cray Estate was built by an organization connected with Vickers to house a good proportion of the 12,000 people employed by the firm at that time. 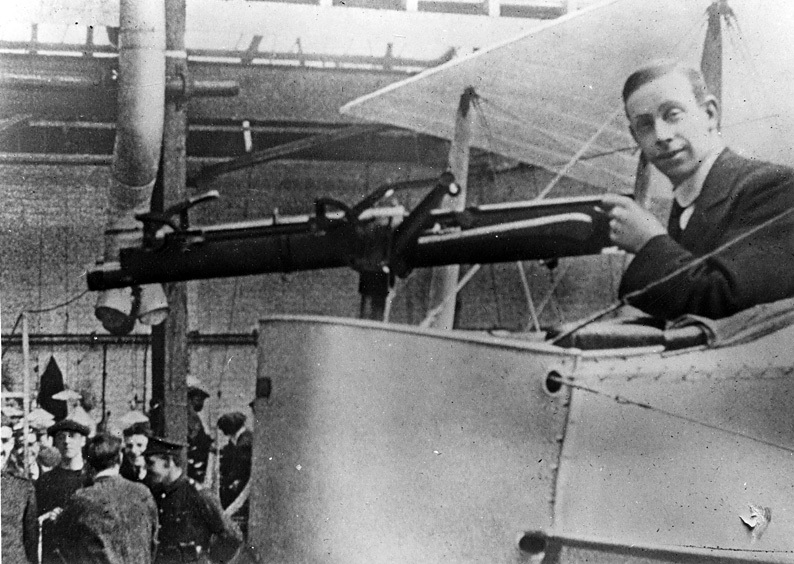 The main function of the Vickers’ Crayford Works between 1914 – 1918 was the manufacture of the Vickers machine gun, a development of Hiram Maxim’s invention, and aircraft like the FB5 ‘Gun-bus’. 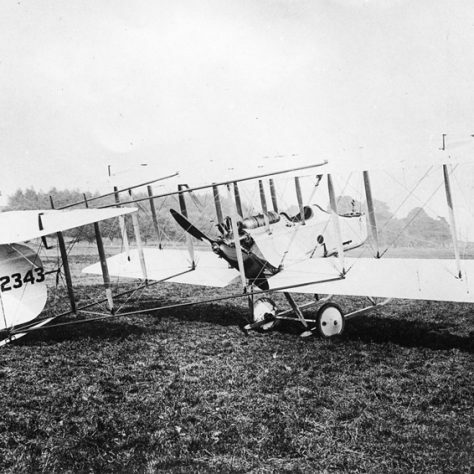 Towards the end of the war larger aircraft like the Vickers Vimy were ordered from the Crayford Works, but it appears that only 12 were completed there; one of them may have been the machine that was piloted across the Atlantic by Alcock and Brown in June.1919. 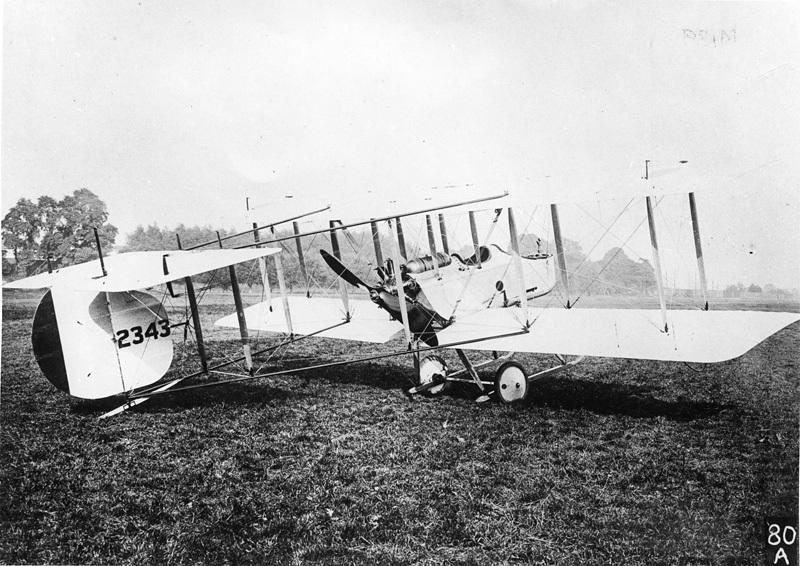 Peace in 1918 brought a cut-back in Vickers’ activities in Crayford, and the firm had to adjust to peacetime conditions. The work force shrank to 3,500 and new products were introduced. Erith took up the manufacture of matchmaking machinery, machine tools, boxmaking machinery and gas meters; Crayford began making motor car parts, sewing machines and from 1921 sporting guns; and Dartford made furniture, wooden toys, washing machines and other small items. 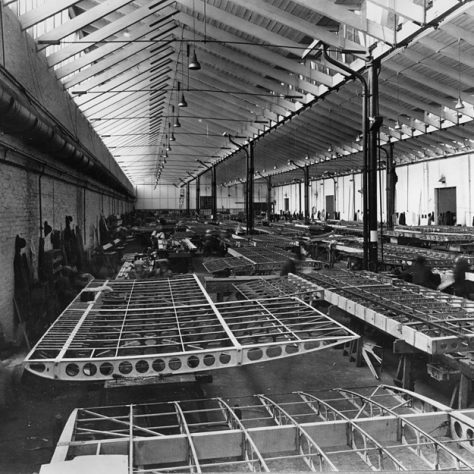 Aircraft production was moved from Crayford to Weybridge in 1919. 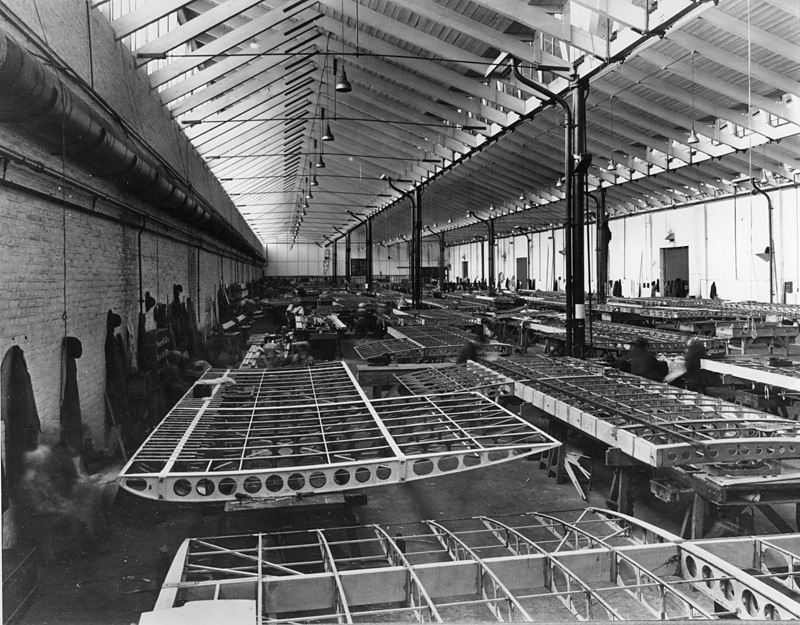 Between 1921 and 1926 Vickers factories in Erith, Crayford and Dartford made losses, and Crayford and Dartford for a period were virtually closed. 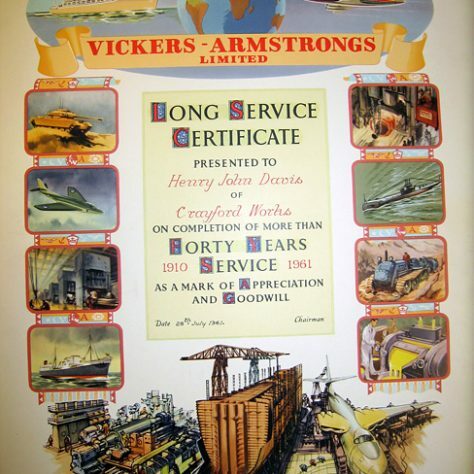 On October 27 1927 Armstrong Whitworth and Vickers were amalgamated to form Vickers Armstrong and considerable rationalisation followed. In 1934 the decision to re-arm was made by the Cabinet and Crayford’s contribution was to be fire control equipment; the manufacture of which had been transferred from Erith when those works were closed in 1931; a computer for anti-aircraft fire and a binocular sextant rangefinder. 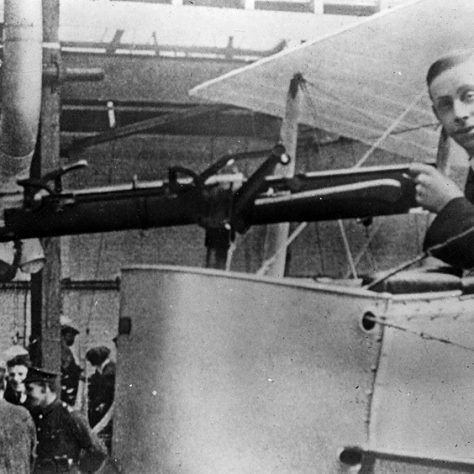 The rejection of the Vickers-Berthier machine gun by the government meant that the machine gun shops were half empty but the capacity was absorbed by the manufacture of gas operated guns in the early years of the war. After the war the naval equipment made at Crayford was no longer needed and the works took up the construction of petrol pumps for Standard Oil and accounting machines for the Vickers subsidiary Power-Samas. Before the manufacture of arms began in 1950 for the Korean War, Vickers at Crayford made a wide variety of items: boxmaking machinery, machines for paint manufacture, bottle-making plant and valve-grinding machines. 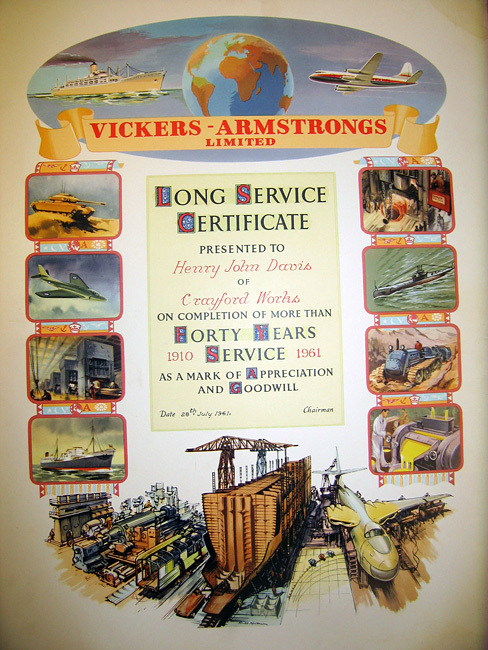 In 1955 Vickers bought the remaining shares in Powers-Samas, which after a long series of mergers provided the basis of International Computers Ltd., a concern from which Vickers withdrew in 1970. The Crayford Works escaped closure in 1970 when the ABC Motors business and bottle-washing machinery manufacture were moved there. In 1971 the workforce at Crayford were told that the Ministry of Defence work would be phased out with the obvious threat of redundancies. 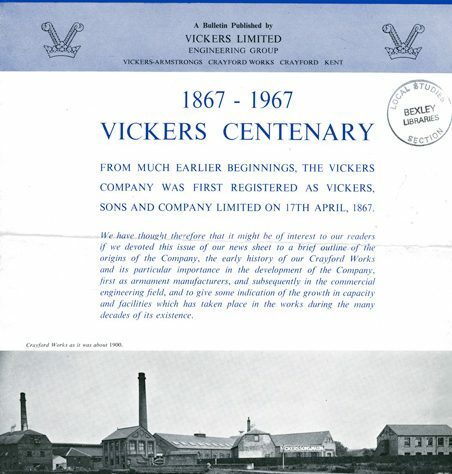 Efforts were made to prevent this and in May 1972 Vickers agreed to investigate the construction of a new factory which, in the event, was opened by Lord Robens in 1975. The factory enlarged its bottle machinery business which was the largest in the United Kingdom. By 1982 a large part of the factory had been bulldozed. The factory closed in 1985 and the rest of it was demolished in 1998 to make way for the Tower Retail Park, which was opened on 2nd July 1999. My late father John Leslie Alexander Roth was employed by Vickers, Crayford all his working life as a Production Planning Engineer. until he was made redundant in 1972 at the age of 62. He was re-employed a few months later to be a designer (presumably with others) of the new factory and was actively involved in its construction and was at the opening ceremony by Lord Robens in 1975. He was involved in building a model of the new factory in miniature lego which was presented to him. I wish I knew where it is now. During WW11 he was in the Home Guard as I have a photograph of him in uniform holding me as a baby aged approx 5 months in around June 1943. Afterwards he was involved in the Firm’s Civil Defence group and in 1962 received the Civil Defence Long Service Medal which is in my possession.